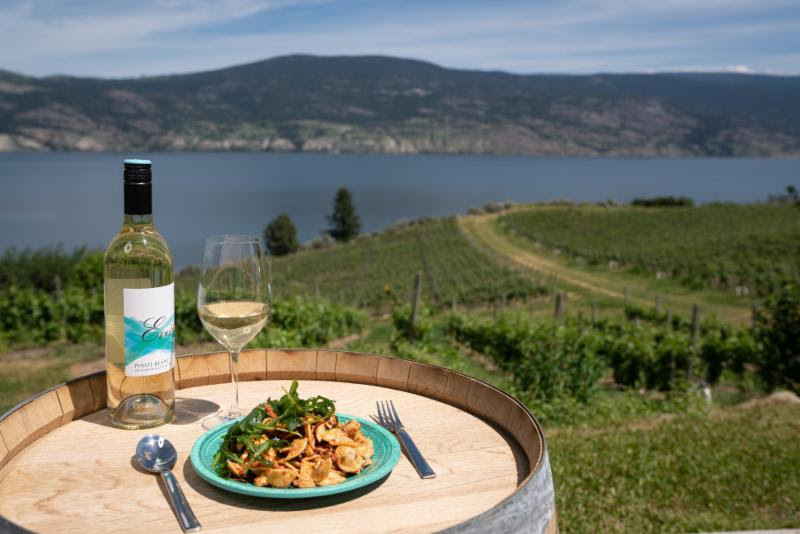 If you are travelling in the Okanagan this summer, you may want to drop by Evolve Cellars to sip some of their wine and enjoy some food from their picnic bar or attend one of their pop-up dining sessions on June 15-17. Their press release is below. Enjoy! An ever-changing picnic bar offering based on seasonality and individual inspiration from chef AK and his culinary team. The picnic bar is an exploration of flavour, texture and creativity. Blanched broccoli salad with caramelized onion, bacon, pecorino, and citrus vinaigrette. Pasta salad with sun-dried tomatoes, olives, roasted garlic, basil, and parmesan. For those with a creative palate, the picnic bar also offers a “build your own charcuterie board” program with selections of quality imported, local, and house-made meats, cheeses and breads paired with a rotating selection of chef inspired garnishes such as: tapenades, pickles, marinated olives, flavoured mustards and more. Enjoy a glass of wine paired with food from Evolve Cellars’ picnic bar. June 15: Lobster Day Lunch (11:30am-3:00pm)- $15 to $25. From lobster chowder to lobster tagliatelle, order à la carte from the lobster lunch menu and pair with a selection of Evolve Cellars wines. June 16: World Tapas Day (6:30pm-9:30pm)- $95/person. Enjoy a 10-course fine dining experience specially assembled by chef AK. June 17: Father’s Day Southern Comfort BBQ Buffet (11:30am-3:00pm)- $40/person. Treat your father to a Southern Style BBQ buffet while enjoying the valley’s best winery view of Okanagan Lake. To reserve or for more information, call the winery at 778-516-7728 or email.